Depending on specialization and focus, medical websites should provide some key features, such as good working contact forms, well-organized pages for different departments and professional looking profiles for doctors and medical employees. In our overview of medical WordPress themes we have collected some of the most popular and highly professional medical WordPress templates for medical related websites. Some of these medical WordPress themes contain useful features like an easy to handle online-appointment system or extra sections for medical specialist information. While using WordPress you can easily create websites for any medical field or purpose, be it a medical care institution, medical center, healthcare clinic, dentists, surgeons or hospital. You simply need to look out for suitable WordPress themes and add valuable content and information to your website. 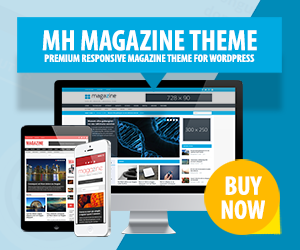 As WordPress developers offer more and more niche WordPress themes as well, there are several nice and professional medical WordPress themes to choose from. When creating medical websites, a few things and features are important to keep in mind. As for example a good working contact form which can be achieved via plugins or possibly is already integrated within the theme. Medical WordPress themes should also offer professional solutions of how services are presented and a trustworthy presentation of doctors, nurses or other medical employees. Having a responsive website nowadays is another important aspect which should be considered when making your decision for modern medical WordPress themes, so website visitors can access your site from mobile devices no matter where they are. Denta Theme Dentists WordPress Theme is a modern and fully responsive template for dentist or other medical websites. With Denta Theme you may set up and maintain a well-organized and modern medical online presence with ease. Denta Theme offers clean and validated code which can be edited easily to modify your website as you prefer….